This, without a doubt, will be one of the best sauerkraut or goulash dishes you’ve ever eaten. 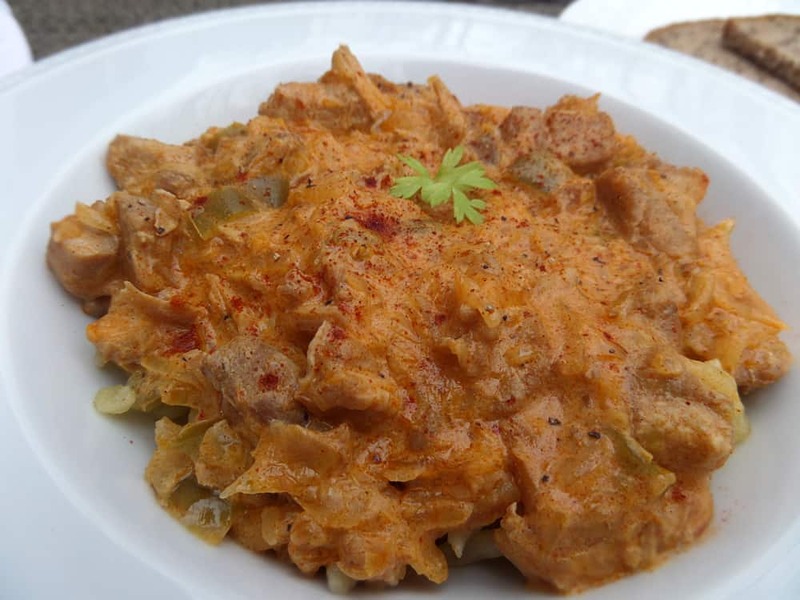 Delicious, melt in your mouth pork simmered all day with sauerkraut, paprika and veggies – finished with creamy sour cream – Oh my yum! This, without a doubt, will be one of the best sauerkraut dishes you’ve ever eaten. It’s that good – really. Even those who are not fans of sauerkraut will devour this, not giving a thought about the two pounds of sauerkraut it contains. Pork and sauerkraut is a traditional meal for New Years day in my neck of the woods. It’s eaten for good luck in the coming year. Sounds silly, I guess, but all us Pennsylvanians have been eating it for as long as we can remember and keep the tradition going. None of us would want to skip our traditional meal and be the ones to end up actually having a bad year. Superstition goes a long way. Most people throw a pork roast and sauerkraut in the oven or slow cooker and let it cook low and slow all day. Of course you can use ribs, chops or any cut you would like. In PA Dutch County, it’s usually served with mashed potatoes or buttered noodles. I mix it up a little every year. Traditional does not have to mean boring. This goulash definitely is not a traditional New Years Day meal. I make it a few times a year and my family goes bananas over it. When planning my New Years Day meal, I realized this would be a perfect meal to share and enjoy. It’s wonderful anytime of the year and a delicious change for the German & Dutchie good luck meal. You can use any style roast for this goulash. I recommend keeping it cheap and using a pork sirloin roast. The hours of cooking makes the small cubes of meat melt like butter in your mouth. I start off simmering the sauerkraut, water and Hungarian paprika in a large pot. From that point, you’re prepping and browning the pork and veggies. 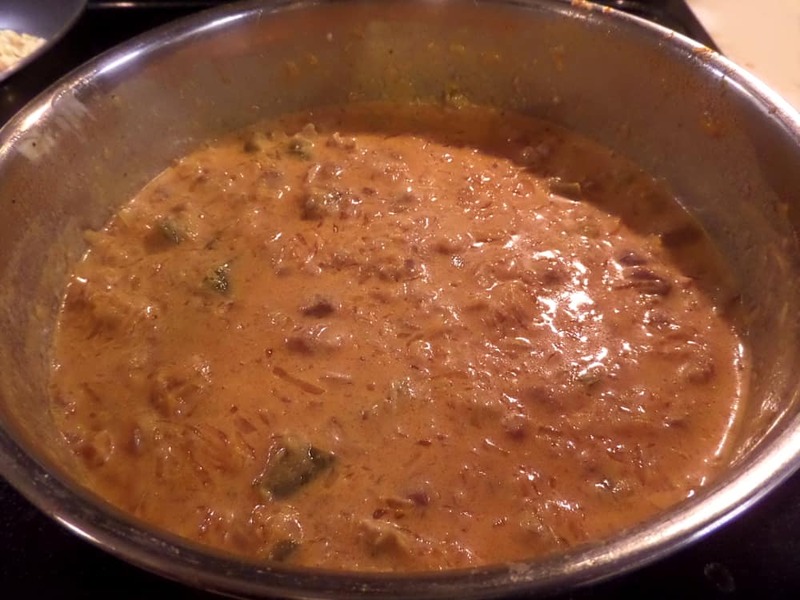 Everything gets mixed into the pot of sauerkraut and simmers covered for 3 – 4 hours. After that, the pork just melts in your mouth as all the flavors melt together. Let the goulash cool off for about 20 minutes and stir in the sour cream. I recommend serving this over spaetzle – it really completes the meal. It’s “oh my yum”. Alternatively, you could serve this over noodles or potatoes. A loaf of fresh, crusty bread is perfect for dipping and sopping. This makes a hearty 6-8 servings. Don’t let the lengthy amount of cooking time scare you off – the majority of it is inactive on your part. You will be rewarded with a unique and delicious meal and a bit of a stinky house. Lol, just burn a good scented candle or simmer some cinnamon sticks – the funkiness will clear out soon enough. I do hope you enjoy this dinner and would love to hear your feedback. Thanks for reading! This, without a doubt, will be one of the best sauerkraut or goulash dishes you've ever eaten. Delicious, melt in your mouth pork simmered all day with sauerkraut, paprika and veggies - finished with creamy sour cream - Oh my yum! In a large pot or dutch oven, combine sauerkraut, paprika and 1 cup water. Bring to a boil, cover and reduce heat to low. Let this simmer while you prep the rest of your ingredients. Chop peppers, add into sauerkraut. Cut pork roast in 1/2" - 3/4" cubes. Salt and pepper pork cubes generously. In a large skillet, heat up oil and brown pork. Scrape pork and all pan juices into pot of sauerkraut. Mix. In same large skillet, melt butter. Add onions and saute until golden. Add minced garlic and saute for a minute or two. Scrape onions/garlic and all pan juices into pot of sauerkraut. Mix well. Add 1/2 teaspoon salt and a pinch of pepper. Bring pot of sauerkraut and pork to gentle boil, mixing well. Cover, simmer over low heat for 3-4 hours, stirring occasionally. When pork is melt in your mouth tender (3-4 hours) remove put from heat and remove lid. Let goulash cool off for about 20 minutes. Mix in sour cream. If necessary, salt and pepper to taste. Serve over spaetzle, noodles, potatoes, mashed potatoes. Enjoy! Thanks for this recipe, I am looking forward to trying to make it::)) I had a question, most recipes call for draining and rinsing the sauerkraut, though yours says undrained. Is there a reason you prefer not to drain and rinse? You could drain and rinse the sauerkraut if you’d like – I usually do when I make plain pork & sauerkraut. With this recipe, I like the additional tang the unrinsed & undrained sauerkraut gives the finished dish. After hours of cooking down with the water, pork and veggies, then with the addition of sour cream, the sauerkraut flavor might be a little too subtle for my tastes if it was drained & rinsed. I accidentally used hot paprika for the first time and it is sensational. Gives it a perfect lift though I do like sweet paprika as well. Oh my goodness…I love hot paprika! I bet it turned out delicious! Have you ever made this dish with brown sugar? Someone once told me it is called “sakay” ghoulash. Just wondering. I haven’t tried it with brown sugar. Never heard of it, actually. I’ll have to look at some recipes now! 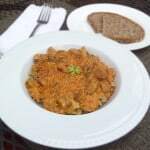 This type of “goulash” is called Székely gulyás after the Székely area of Hungary. It’s delicious. absoutely!!! my stepdad straight from hungary so when we make shakee goulash for him his recipe calls for brown sugar and also barley!!! No, never use sugar in any goulash! That is some weird variation but not Magyar. 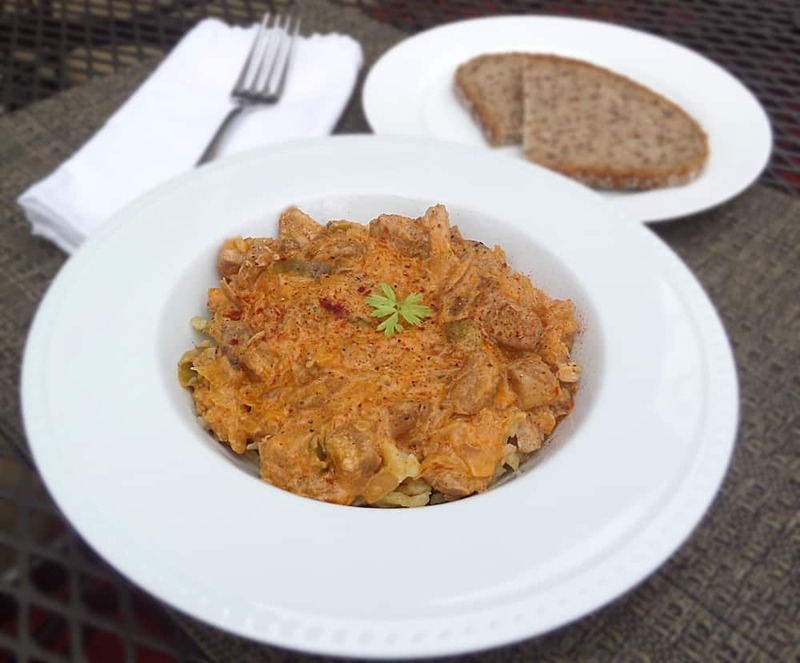 This sauerkraut pork stew is not technically a goulash, but a pörkölt or stew, but it’s all ‘stew’, so…… yes, Székely goulash is pronounced ()sort of like sakaay goo-yash. Oh my word! I had this in a restaurant in Bratislava a few years back! She’s not much of a looker, but seriously one of the best stews I’ve EVER eaten! Will definitely have to give this a try! You are right – it definitely is an U-G-L-Y dish! But my, oh my, it’s delicious. It’s one of my favorite things to eat! One can only eat so much sauerkraut though…so I make this almost on a monthly basis. I’d love to hear if you try it! Back in 1968 my mother challenged her 4 children to make a meal for 6 for the cost each of guessed. 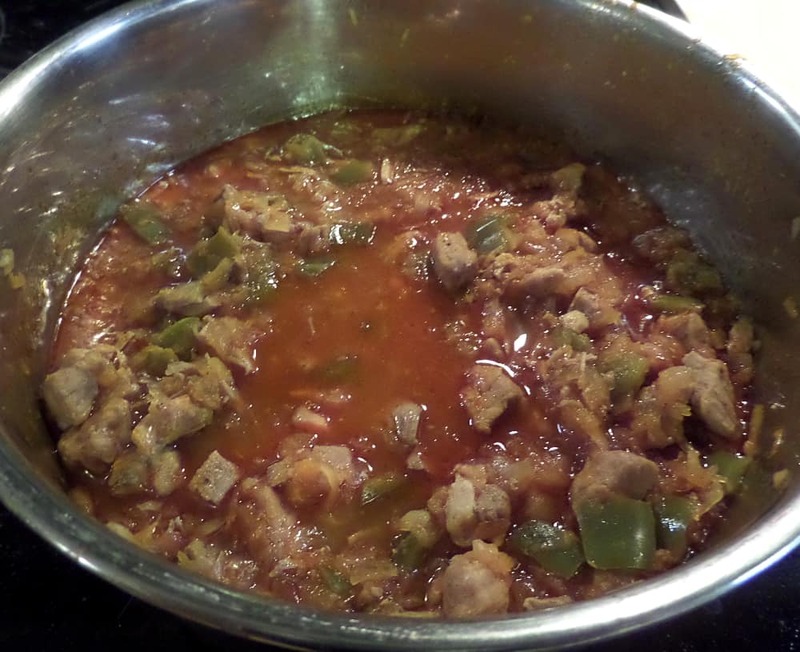 The recipe I chose was a pork stew from the New York Times. I can still remover it’s wonderful flavors. I haven’t been able to find the recipe again so I’m going to try it from memory: pick shoulder , Sauerkraut , potatoes, tomato paste & sourcream. Here’s hoping! What a wonderful memory Barbara! This looks delicious. Can’t wait to try it. We used to get what they called Szelekey Goulash at a marvelous little bistro run by a brother and sister in Greenwich Village many years ago. The food was so good, this tiny place had a line out the door, even in the winter. Then the brother convinced the sister they would make more money with less work by making falafel and burgers. What a mistake. It closed. I still miss it and look forward to trying this recipe and reliving one of the wonderful dishes we used to get there. PS I tend to tsk tsk those who rate recipes without trying them, but yours feels authentic and I’m betting will take me back to that little Greenwich Village restaurant.And I just got a pork roast and sauerkraut from my CSA, so the planets are aligned. 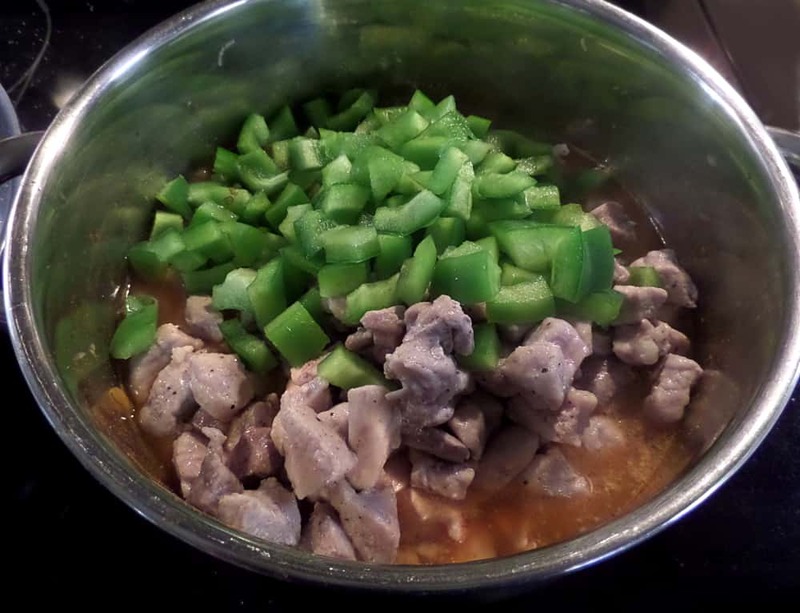 Ohhhh….I do hope this recipe took you back to the Goulash from that Greenwich Village bistro! Love it! Served it over mushroom ravioli and it was fantastic. Also, in case anyone is put off by the long cooking time — I taste-tested this throughout the process, and it tasted great right away, so if you’re the impatient type, you can still give it a try, serve it whenever you just can’t wait any more! Amanda this recipe is MONEY. Wife, kids, parents, and mother-in-law all loved it. Cut the sourness with about an 1/8 cup of brown sugar but as is nearly perfect. Served with kluski noodles and madhed potatoes. Ugly as sin and stinks up the house but worth it. You had me at Hungarian paprika. I love that stuff! However, the part about adding sour cream disturbs me. Sour with sauer (and not drained at that) does not seem appealing to the palate. I would lose the green bell pepper as well. Add French leeks in lieu of the garlic and five juniper berries. My Mom always had sauerkraut on New Years Day as well. When I moved to Texas it was discovered that they do black eyed peas. Sorry, but not my thing, Kraut wins over peas anytime. Wonderful photos of your prep.